Drilling underbalanced on coiled tubing provides a treasure trove of information on reservoir characteristics and production. 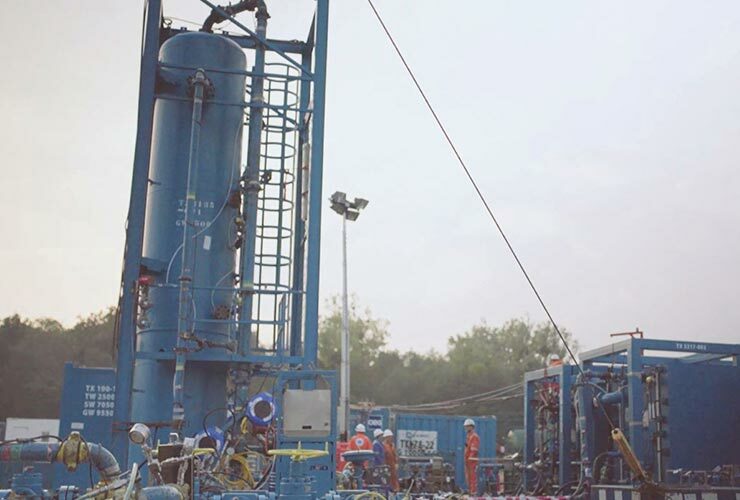 During underbalanced drilling, the bottom hole pressure is kept below the reservoir pore pressure and so the reservoir fluids will move towards and into the wellbore. The response of the reservoir to the underbalanced conditions provides significant insight into its character, including estimates of pore pressure and permeability. At a UBCTD wellsite, data is gathered from the drilling BHA about downhole conditions and the underbalanced drilling equipment, which gives information about surface pressures and production. Typical data collected includes downhole pressure and temperature, production at surface, produced fluid types, among others. This data can be used to characterise the reservoir, while drilling. Characterising and understanding the reservoir is undoubtedly important to optimising a fields development and production. · Improved reservoir management through a better understanding of individual well zones. Coiled tubing drilling is a safe and effective way to drill underbalanced as coiled tubing units are designed and optimised for live well operations.